Elisa Carlson firmly believes an actor’s accent and dialect are an important part of the role. 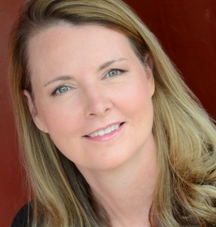 Carlson often finds work in Georgia’s booming film industry as an expert and has more than 200 credits for her dialect and text coaching in theater, television, movies, and audiobook productions. She has an entry on IMDb—the internet movie database. Her expertise has led Carlson to work with many Hollywood stars, including Lily James and Ansel Elgort, who were the lead actors in “Baby Driver.” While working on the 2017 movie that was set and filmed in Atlanta, Georgia, Carlson coached both actors to speak in slight Southern accents, a challenge since Elgort is a New York City native and James is British. Carlson said she prepared to coach the actors by listening to historical recordings. “We’ve actually shifted a lot in how we sound in the last 50 years,” she said. Carlson also read Martin Luther King Jr.’s lines for Tom Wilkinson, the British actor who played President Lyndon Johnson, while filming a pivotal scene when Johnson talks with King by telephone. Jim Hammond, head of the university’s Department of Theatre spoke highly of Carlson. “Not only does Elisa’s professional theater and film work sharpen her coaching skills, but the contacts she provides for our students are vital to their transition into the profession after graduation,” he said. On top of her prolific film experience, Carlson also serves as a resident director and actor with the Gainesville Theatre Alliance (GTA). She said once a year she takes part in a GTA production as an actor. Her last role was Leonata in “Much Ado About Nothing,” which she also directed. Having onstage and backstage roles have challenges of their own and require a good support team.